Do I want to have a fast yacht that has a relatively limited cruising range and requires properly planned refuelling stops to go long distance? Or do I want a long range yacht that can go to faraway places without the inconvenience of having to refuel? Is it true that generally fast yachts tend to have more movement and may not be conducive to those who are prone to motion sickness and by contrast long range yachts are more comfortable but considerably slower? Do I want a boat built in fibreglass or one built in aluminium? What if I like the look of the fibreglass model but prefer to have it built in aluminium or vice versa? 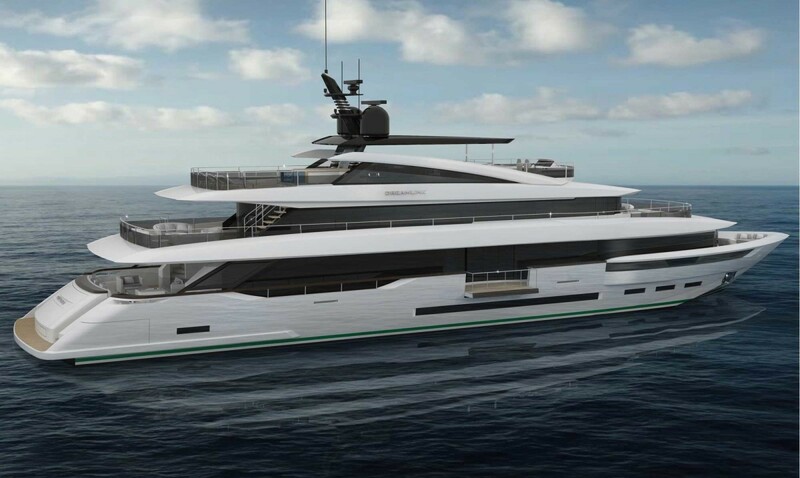 Do I want to have an eco-friendly “green” superyacht that is electrically propelled to conserve fuel while reducing noise and gas emissions at the same time? But aren’ telectrically propelled yachts slow? Can I have a hybrid yacht with both conventional propulsion that can go fast as well as electrical propulsion that provides a nearly noiseless operation? Can I have a superyacht that can go fast and yet extremely economical to run at long range cruising? One often finds that many desirable features seem to be mutually exclusive of one another. For example, a yacht that is designed to be fast using a planing hull is generally not efficient at slow speed. And a yacht that is designed for long range cruising using a displacement hull would be comfortable but simply cannot go fast. Speed is also at the expense of fuel consumption, hence operating cost. And one invariably has to compromise, or so it seems. What if one can have it all? Would it be a dream? Indeed, Dreamline Yachts was established precisely to make that dream come true. Dreamline features special “lama chine waveless hull” designed by one of the best known naval architects in Europe, Ing. Giuseppe Arrabito of Arrabito Naval Architects. Its revolutionary shape reduces fuel consumption tremendously and allows a remarkable range, up to 2,000 nautical miles for the DL34M. Yet the same yacht can perform up to 30 knots in semi-planing trim. 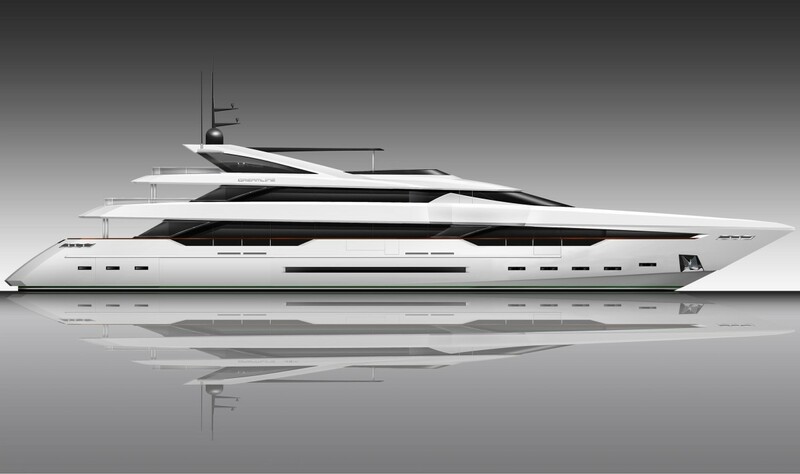 Arrabito’s design results in sea-kindly smooth sailing similar to that of a displacement yacht even at planing speed. The particular shape of the bow augments seaworthiness which in turn affords this craft extreme stability even when sailing at high speed – something one cannot expect in a planing hull. EcoPerformance Technology powered by Siemens Hybrid makes navigation on a Dreamline yacht pleasant and extremely silent. The noise and vibration levels of both the engines and generators are barely perceptible when using the eco-friendly electrical propulsion. Every Dreamline model can have the hybrid propulsion system as an option in addition to its conventional propulsion system. Remarkably, Dreamline can construct identically designed superyachts in the material of your preference – fibreglass or aluminium – for all the models. 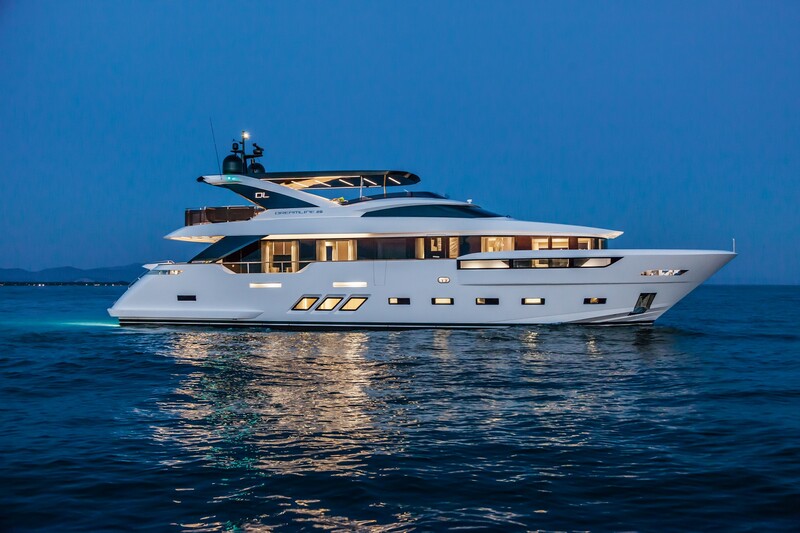 Dreamline is a new shipyard yet rich in yacht building tradition and experience. It is the brainchild of Mr. Peter Zuber, aveteran yacht-builder with 35 years of nautical experience who previously held key positionsin various shipyards. He wanted to build a dream yacht that excels and surpasses those currently in existence. Dreamline is a collaboration between Peter Zuber, Giuseppe Arrabito and renowned naval architect Enrico Gobbi of Venice-based Team4 Design. 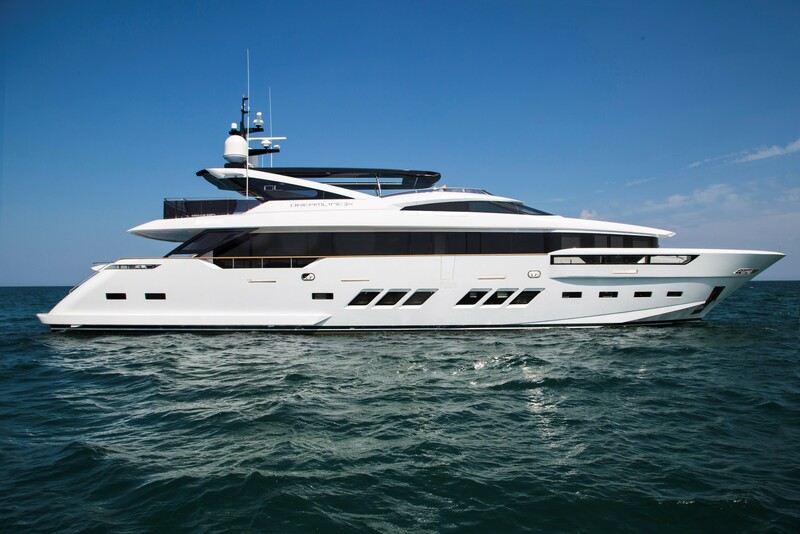 Dreamline is complemented by a team of experienced yacht professionals and craftsmen. Their first product, the stunning Dreamline DL26M, was introduced to the world at the 2014 Cannes Yachting Festival to great acclaim. She was a head-turner and won accolades from all quarters. Indeed, the Dreamline DL26M won the World Yachts Trophies for the Best Yacht – Best Layout at the 2014 Cannes Yachting Festival. The success of Dreamline is nothing short of phenomenal. 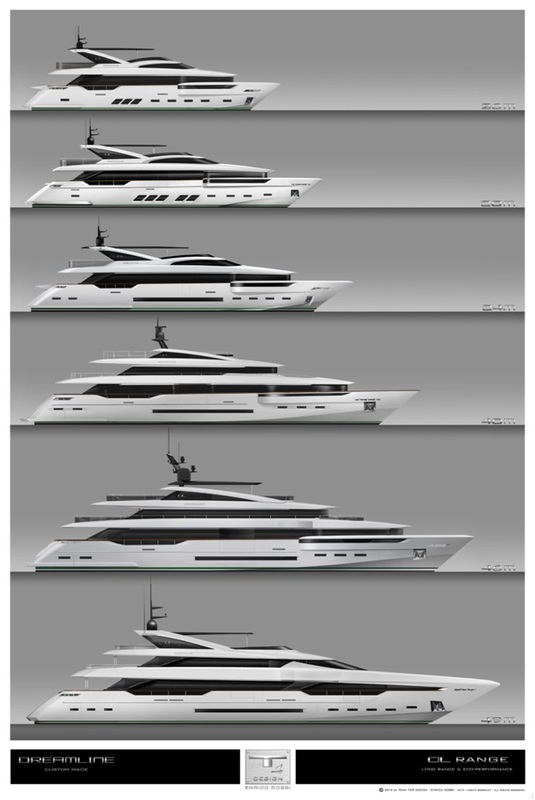 Dreamline offers superyachts of 26M, 30M, 34M, 40M, 46M and 49M. 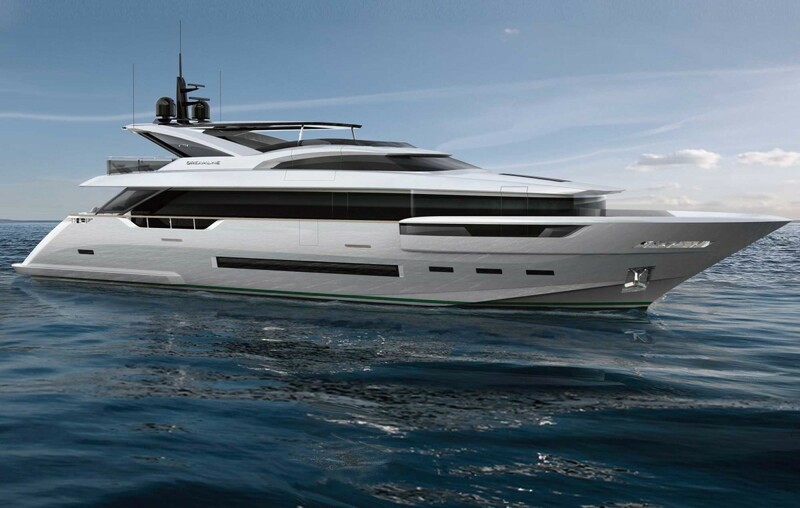 All Dreamline superyachts are custom-built and personalized. 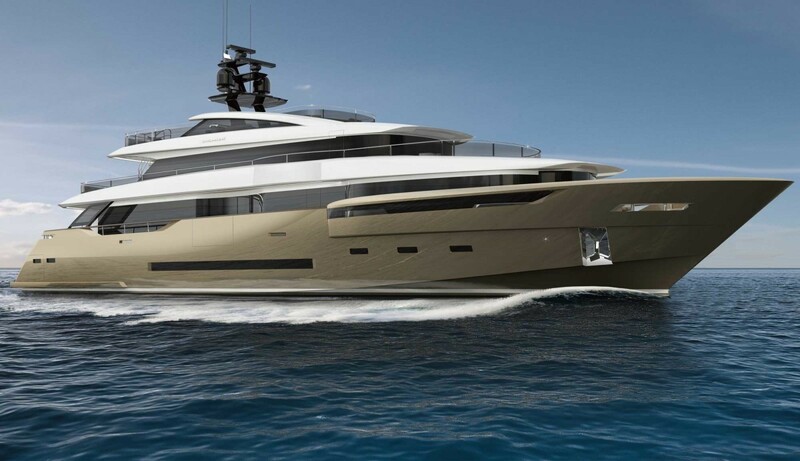 No two Dreamline superyachts are identical.